Substantial differences tied to income, age, racial and ethnic disparities play a significant role in impacting voter turnout- even in the most voter-friendly states. There is an important relationship between individual and community well-being and the practice of voting. Voting is an essential responsibility of citizenship and is pivotal to the health of our democracy. When people vote, there are benefits to their communities, including higher levels of civic participation, stronger connections within communities as well as better outcomes for the individual voters to include improved health, social connections, mental health and overall well-being. 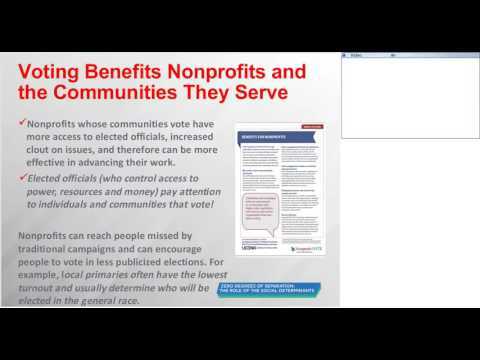 This webinar discusses how nonprofit human service providers are poised to play a significant role in narrowing the gap in participation in communities that have traditionally been underrepresented- the groups to which social workers often have direct access.